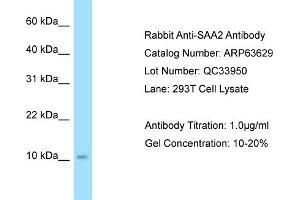 Characteristics This is a rabbit polyclonal antibody against SAA2. It was validated on Western Blot. Background SAA2 is a major acute phase reactant and apolipoprotein of the HDL complex.